To make the smoky tomato aioli, place the tomatoes and garlic in a food processor and process until smooth. Add the mayonnaise and paprika and blend. Transfer to a bowl, cover and refrigerate. To make the orange piquillo relish, combine all of the ingredients in a bowl and mix well. Cover and refrigerate. To make the patties, combine the onion, parsley, cumin, oregano, salt and pepper in a large bowl and mix well. Add the ground chuck and chorizo and mix gently but thoroughly. Shape into six ½-inch thick patties. Sprinkle garlic on both sides and gently press in. Brush the grill rack with vegetable oil. Place the meat patties on the oiled rack. Grill uncovered until they reach an internal temperature of 160°F. During the last 2 minutes of grilling, top each patty with cheese and place rolls cut sides down on the grill until lightly toasted. To assemble the burgers, spread smoky tomato aioli on the toasted sides of each roll. Layer each roll bottom with arugula and a cheese-topped patty. 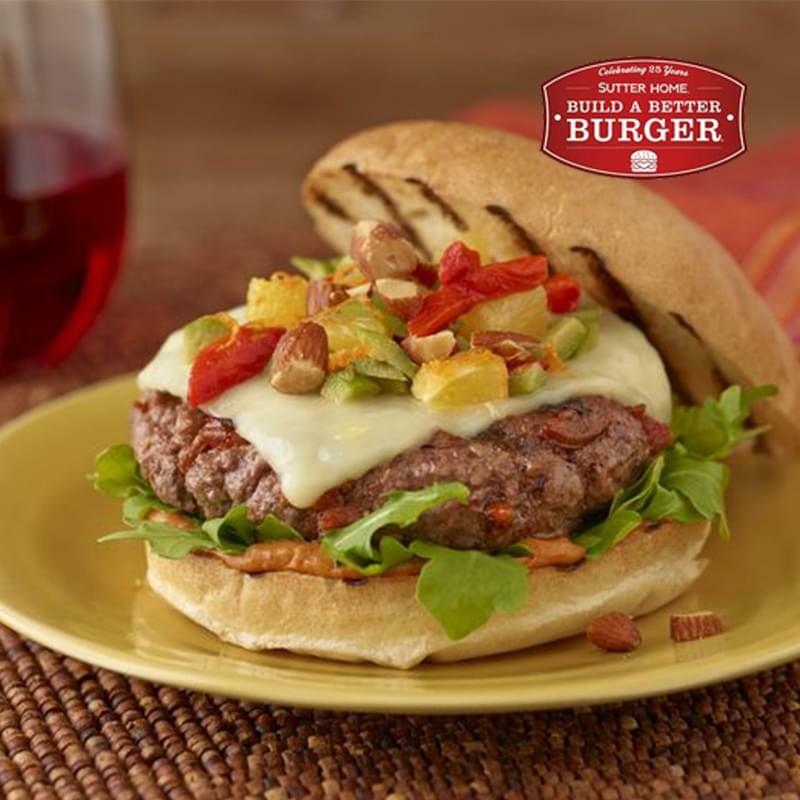 Top each patty with a dollop of orange-piquillo relish and a sprinkle of smoked almonds. Add the roll tops and serve.